…if shields change ferrite choking effectiveness? Image from Wikepedia. Once upon a time I did wonder, but know better these days. However, the question is perfectly valid for those new to antennas and the methods of feeding them. 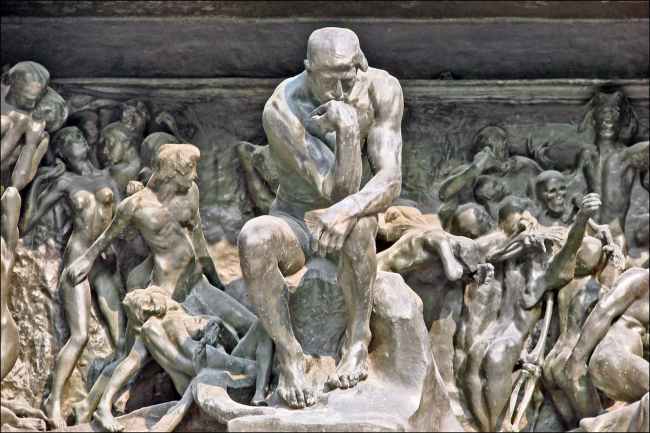 The test to check on the behavior is easy to perform…. so testing we did… being Magnum Experimentum and all. Those familiar with S21 understand it is nothing more than attenuation (or gain) from point A to point B. Most instruments that measure this parameter seek to understand the losses associated with coaxial cables in differential mode. However common-mode power-flow eludes the typical S21 tests. We need to split the center conductor from the shield in order to assess the performance of common mode choking devices. One hundred uses for banana adapters… now one hundred and one. 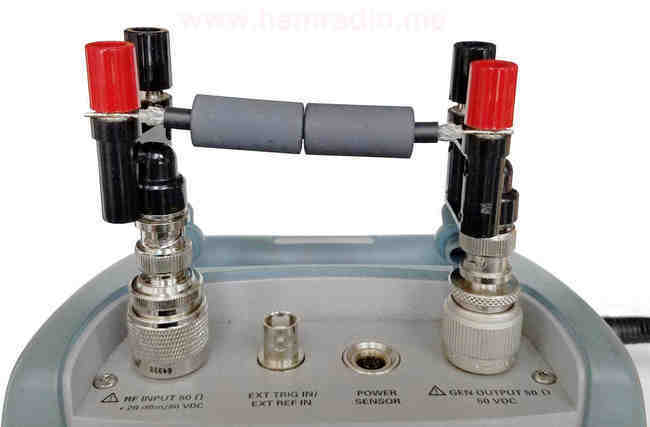 The photo below is the test setup from a previous article concerning ferrite testing. 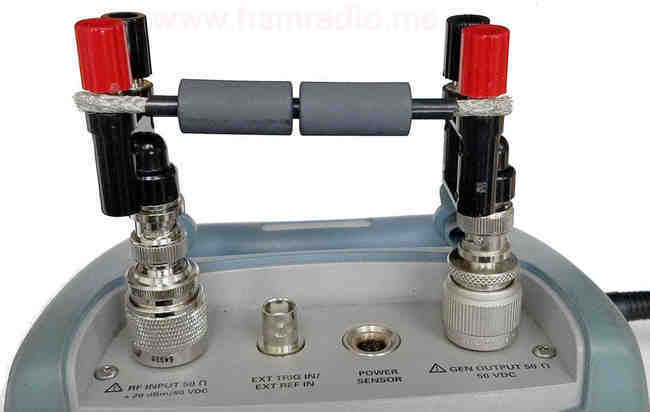 Figure 2 – S21 test setup using banana plugs. 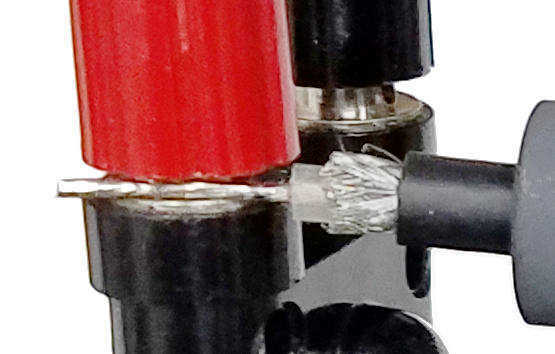 Copper wire provides shorter connection between ports than the path through the analyzer’s connectors. By applying limits to the maximum frequency, a successful test is possible so long as the deviation from 50 ohm coax seen above is relatively short vs. radio wavelength. The copper wire shunting the shield posts (black) is somewhat redundant with the connection between the N connectors within the instrument. With this in mind, the tests for this article omitted this wire. This leaves only the conductor we place between the red posts. S21 sends energy out of one N connector to the red post and measures the power going into the other side. With calibration we can perform A/B comparisons of various configurations. Figure 3 – Two pieces of RG-58: top dressed to test shield currents, bottom trimmed to test shielded center conductor currents. The two wires above were used in these tests with and without ferrites. The top is simply the shield of RG-58 coaxial cable. A piece of brass pipe or copper wire of similar diameter behaves the same, but this works well. The bottom is another piece of RG-58 with trimming to establish current only through the center conductor leaving the shield unconnected to anything, but still surrounding the center conductor. A couple of Type 61 cylindrical ferrites from, you guessed it, Fair-Rite, fit perfectly on RG-58. The top piece of RG-58 above was connected across the red posts and the analyzer was calibrated to this to give us our base line for all graphs in this article. Not every test configuration is shown, but the following few photos highlight a few configurations. For each conductor three tests were performed with none, one and two ferrites inline. Figure 4 – RG-58 shield passes through two ferrites during S21 test. Figure 5 – Shielded conductor passes through one ferrite during S21 test. Figure 6 – Shielded conductor passes through two ferrites during S21 test. Figure 7 – Close in view showing S21 center conductor connection to analyzer red terminal. With care I ensured only the center conductor touched the red posts at each end while the shield remained floating. 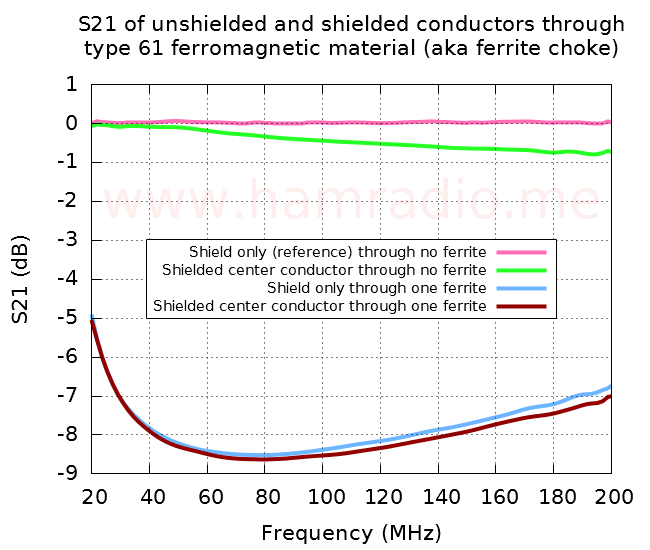 Figure 8 – Ferrite effect on S21 of unshielded and shielded conductors through none and one ferrite. The shield only configuration with no ferrites is a nice flat line since we calibrated the instrument to this arrangement. 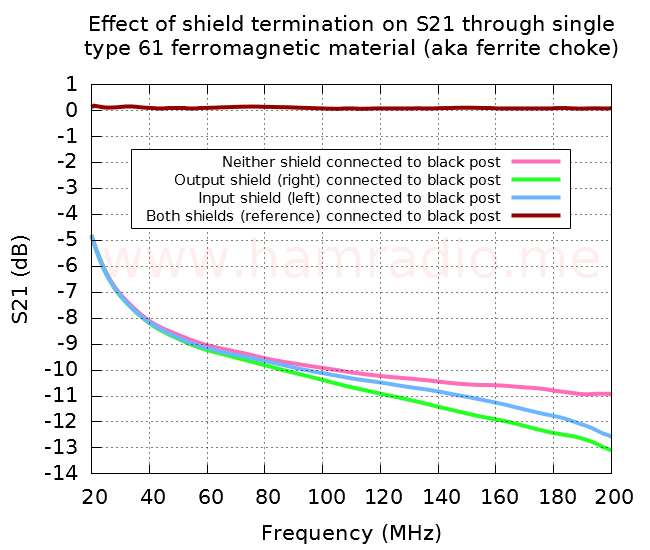 The center conductor S21 test shows a slight loss as frequency increases. Typical behavior for a smaller diameter conductor compared to our fatter reference. With one ferrite in place we see a modest, but usable, attenuation of the signal in this 50 ohm system. Most important of all, the shield has negligible effect on the choking ability of the ferrite. 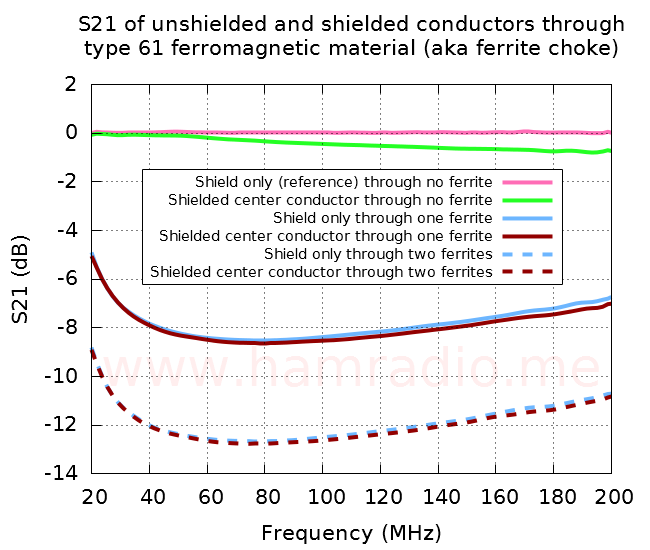 Figure 9 – Ferrite effect on S21 of unshielded and shielded conductors through none, one, and two ferrites. Adding another ferrite in series increases the total attenuation in this 50 ohm system. 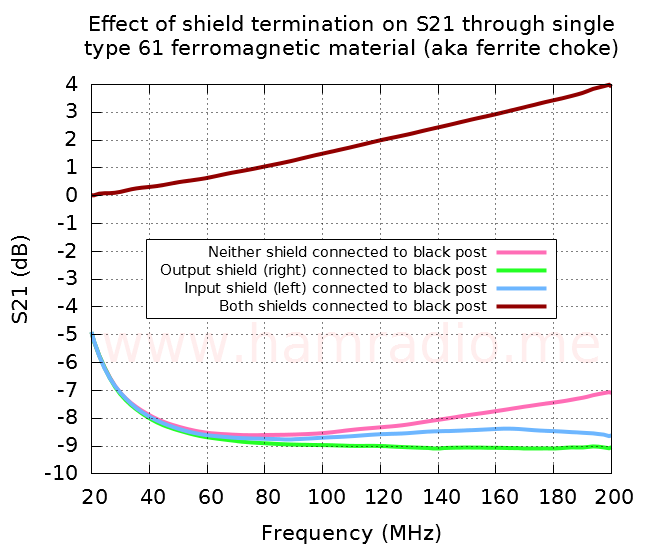 Once again we see negligible effect of the shield on choking attenuation provided by the ferrite. What if we connect one or both ends of the shield? Figure 10 – Connecting none, one or both ends of the floating shield to the black posts. The right banana adapter is the RF tracking generator output, the left the RF input. 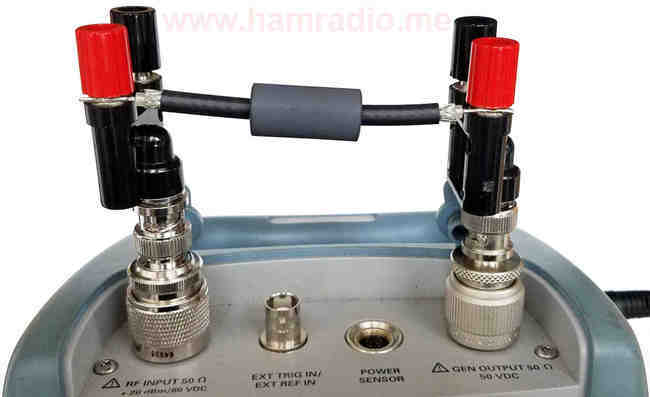 In the above photo we have the example with the shield tied to the RF input side. I measured all four possible scenarios of these two shunt-wire variables through a single Type 61 ferrite. Figure 11 – Grounding the shield at each or both ends. The cases when one or no shield ends connect results in the ferrite still performing an RF choking action. The higher frequencies diverge a bit most likely due to random capacitances doing their thing. Figure 12 – Grounding the shield at each or both ends referenced to both ends shielded. Common mode current is the net sum of all currents flowing inside a choking ferrite no matter if inside or outside the conductive shield of the coaxial transmission line. 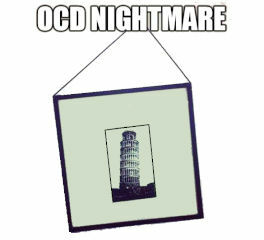 Or at least that’s the effective result. 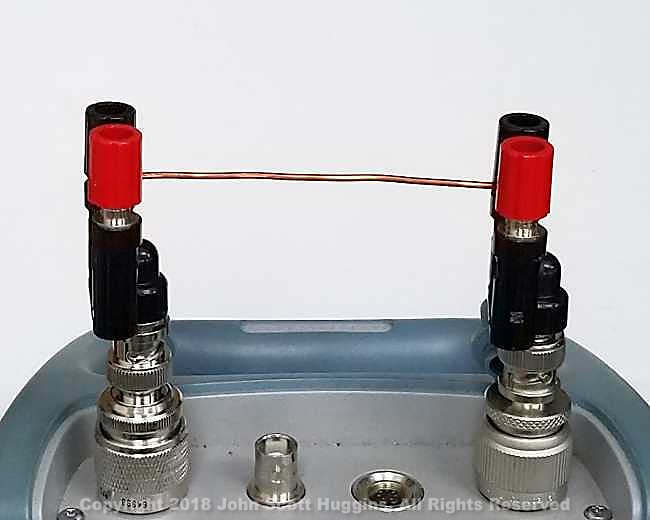 Some will logically argue the currents inside the coax must be equal and opposite (at RF) regardless of how they are hooked up suggesting the current on only the outside is common mode and effected by the ferrite. How to view this is a good question. The major point is, for whatever reason, the choke chokes as if the shield isn’t present.